Snow had recently fallen in the mountains, probably no more than two days ago. On the north side, just below the summit, no sunlight had yet reached the freshly fallen snow, so no melting had occurred yet. Close to the ground the snow crystals on the pines created a wonderfully sculpted landscape. 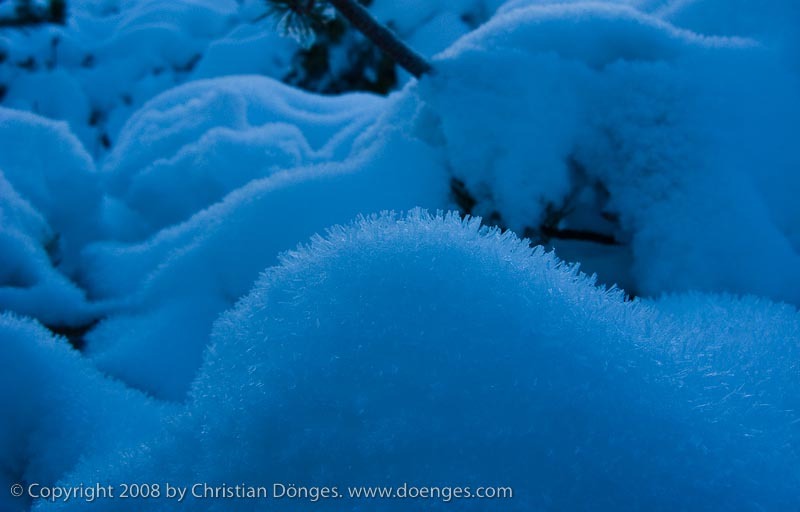 The blue tinge is caused by ice filtering light as it passes through or is reflected. I decided not to correct it because I quite like the effect.